As a WHO collaborating Centre for Non-communicable Diseases - Prevention and Control, Madras Diabetes Research Foundation’s (MDRF) and Dr.Mohan’s Diabetes Specialities Centre’s (DMDSC), Chennai focus has always been on building capacity in NCDs through highly successful interactive and seminars initiated in 2003 under the ICOHRTA Programme of the National Institutes of Health (NIH) U.S.A. In collaboration with the University of Alabama at Birmingham (UAB), USA, Madras Diabetes Research Foundation (MDRF), Chennai till date has conducted nine seminars on ‘Prevention and control of NCDs’ since the year 2003. 2500 young researchers, epidemiologists and community health specialists from all over India and neighbouring have been trained through our Seminars. An intensive interactive training programme on ‘Clinical Research Methods’ was conducted at MDRF on 23rd and 24th February, 2011. 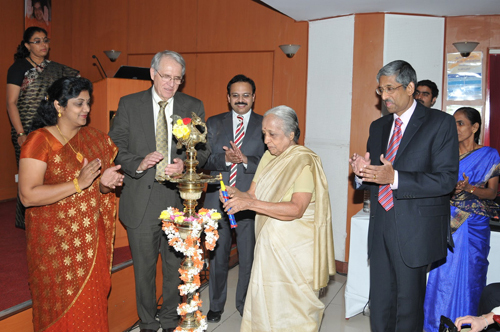 The Ninth International Seminar on ‘Prevention and Control of Non-Communicable Diseases (NCDs)’ conducted at MDRF from 25th- 27th February, 2011.